Barnes & Noble will keep the discounts going on its Nook HD and Nook HD+ tablets, citing the "fantastic success" of Father's Day sales. The 7-inch Nook HD now costs $129 for the 8GB model and $149 for 16GB, for a savings of $70 to $80. The 9-inch Nook HD+ costs $149 for 16GB and $179 for 32GB--a discount of $120 for both models. Although Barnes & Noble says these discounts are only good for a limited time, the company isn't saying when prices will go back to normal, if ever. Sale prices are being honored at Barnes & Noble's website, as well as at retailers such as Best Buy, Target, and Walmart. Although we're not complaining, the deep discounts seem suspicious in light of rumors that Barnes & Noble might be scaling back its hardware business and focusing on sales of digital content. At these prices, the Nook undercuts both the Amazon Kindle Fire and Google's Nexus 7 tablets. It certainly looks like Barnes & Noble is trying to dump its inventory. On the other hand, Barnes & Noble added the Google Play Store to Nook tablets last month, giving them access to the entire Android app catalog, as well as Google's own apps such as Gmail and Chrome. Officially, Barnes & Noble's stance is that it has no plans to discontinue its Nook tablet line, but the company hasn't said whether it will scale back its hardware business. 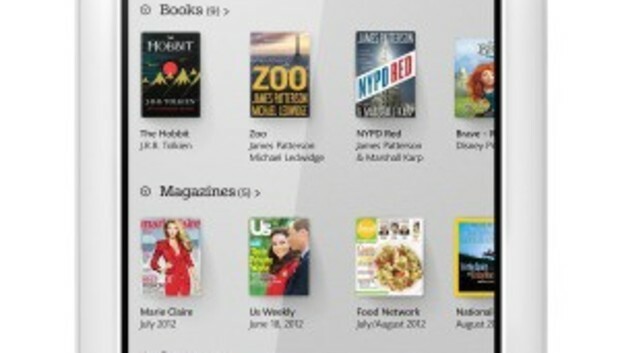 In any case, it's unlikely that Barnes & Noble will get out of the ebook business any time soon. If you're shopping for a tablet, the biggest risk with Nook is that Barnes & Noble could, someday, exit the hardware business, in which case the future of new software updates and services for Nook would become cloudy. But that's just a minor concern, which may not amount to any actual problems for users. With solid hardware and the full Google Play Store on board, the deeply discounted Nook HD and Nook HD+ still seem like good deals--even if they are dead tablets walking.